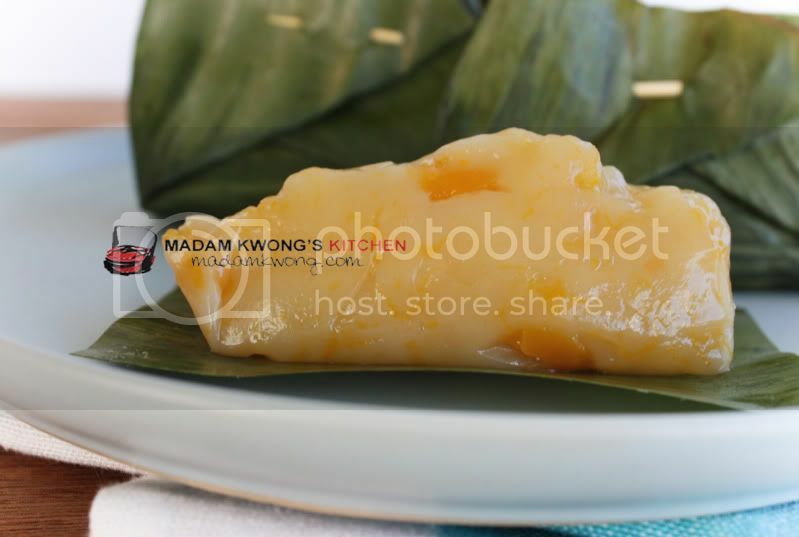 Here’s another dessert, a Nyonya kuih. Be prepared for lots of dessert recipes! Anyone with a sweet tooth would be delighted with the next few posts of sweets in the coming weeks! 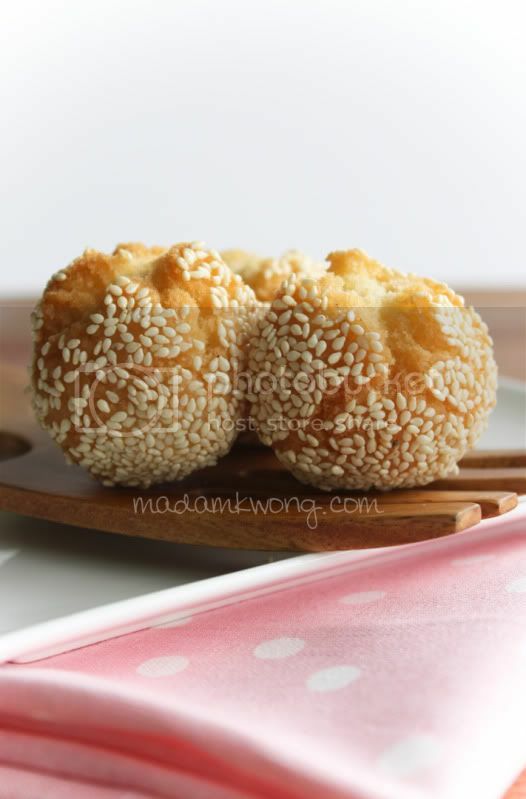 Here’s a mung bean cake recipe. 4. Pour into mixing bowl and cool for 5 minutes before adding sugar to mix (this will be the filling). 1. Mix plain flour and butter untill well combined. Pour water into the mixture slowly, then knead to form a soft and elastic dough. 2. 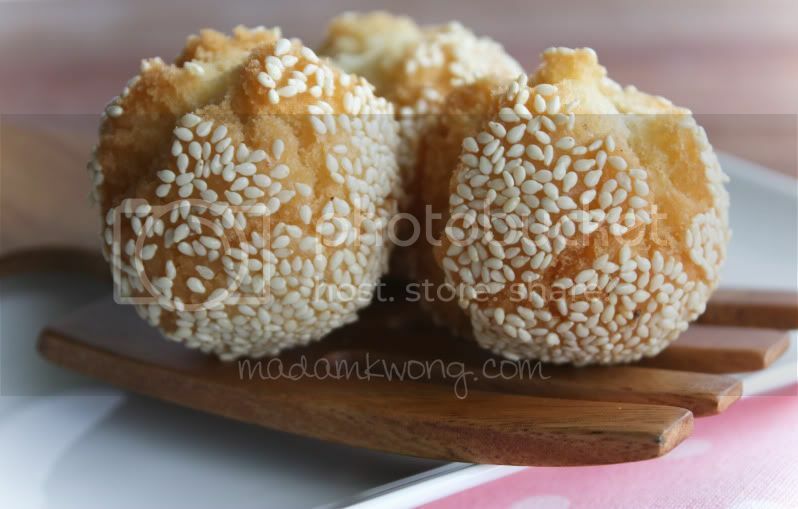 Divide dough into small portions then slightly press and wrap each dough with mung bean paste. Shape into a ball. Flatten it and rest the dough for 15 minutes. 3. Heat up oil for deep frying in medium heat until golden brown. Dish up and drain. Leave to cool before serving. I am sure some of you have been to Ipoh for this. Maybe not? 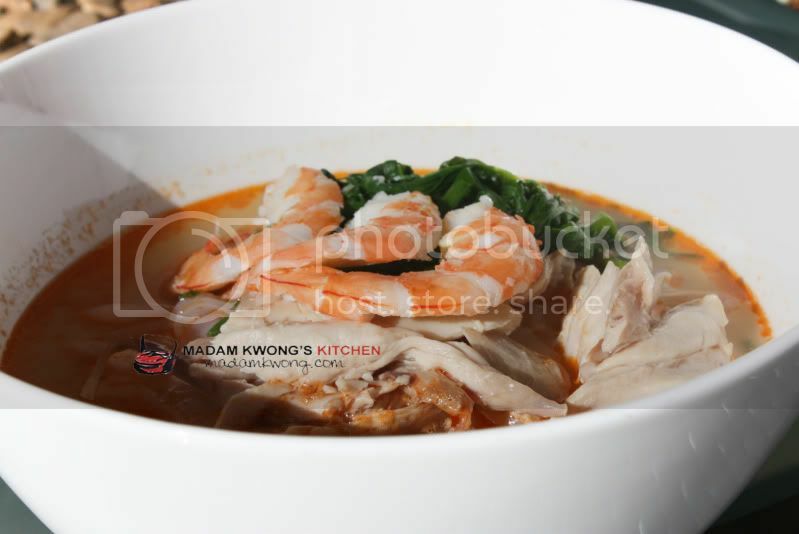 Here’s a simple and quick way to cook up Ipoh Hor Fun. Read the recipe after the jump. I made these a while ago but haven’t got the chance to write the recipe. 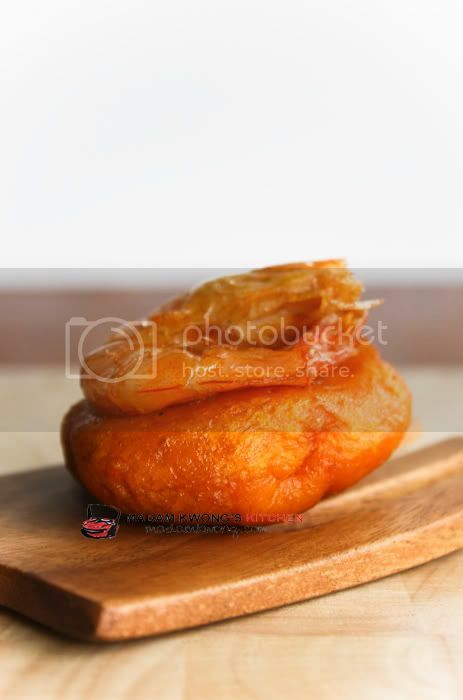 This is a Malaysian snack, deep fried with sweet potato dough and its filling. 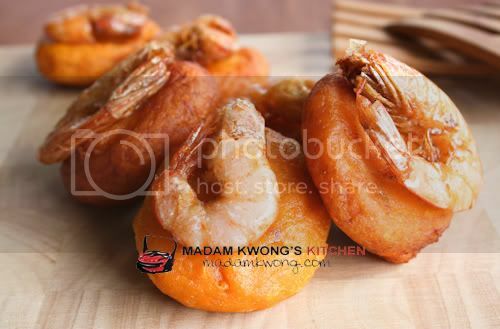 AND yes, the cucur badak is topped with a prawn. How cute are these? Making them was so much but eating them… to die for. Mantou is referred as steamed buns. You often seen plain white steam buns. 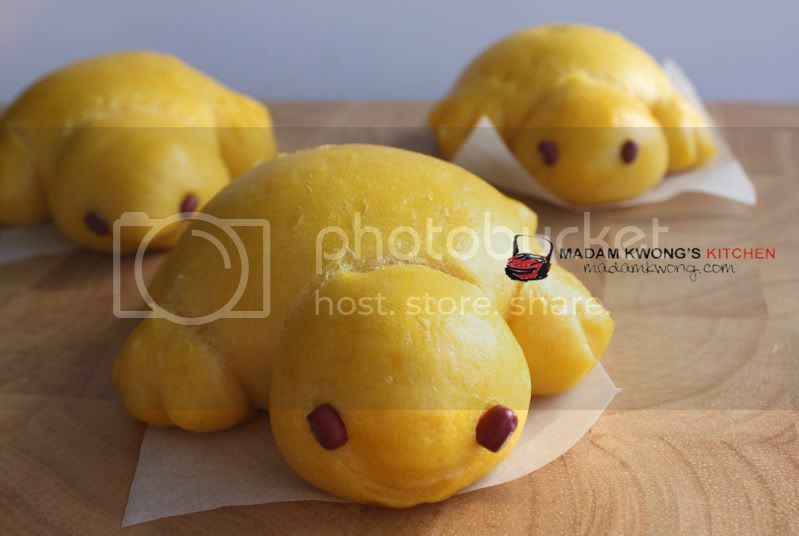 With these mantou I’ve made, I added pumpkin. During this time especially in winter, yam bean or jicama would be in season. I find them plentiful in Asian stores and cheap too. So what do I do with these yam bean. 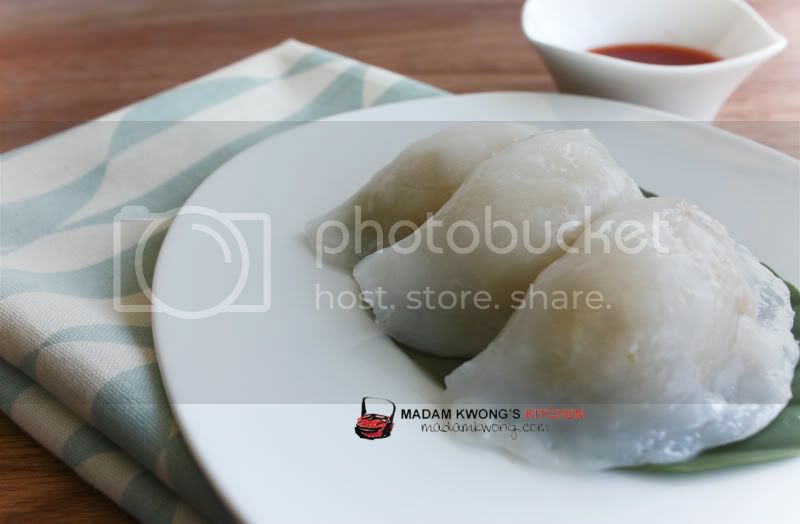 Teochew Chai Kueh is simple to make. There are many ways to wrap the dumplings. Do whatever is easier for you. 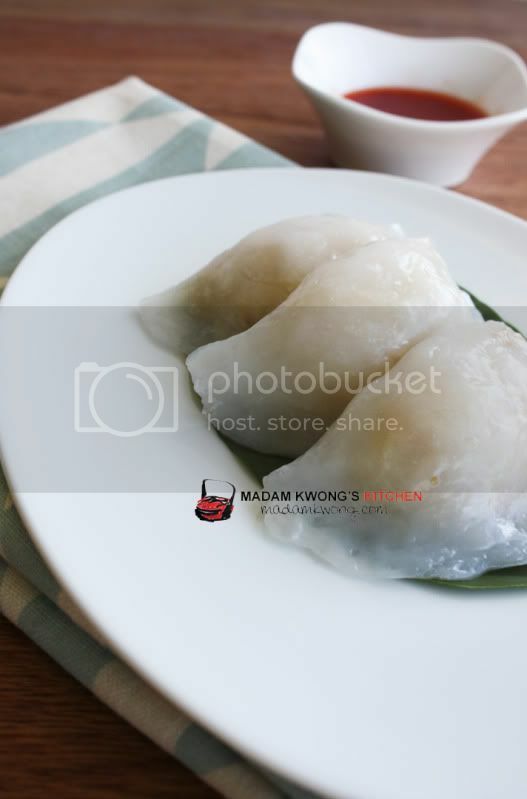 The most important in this recipe is the almost transparent looking dumpling and the crunchiness from the yam bean. 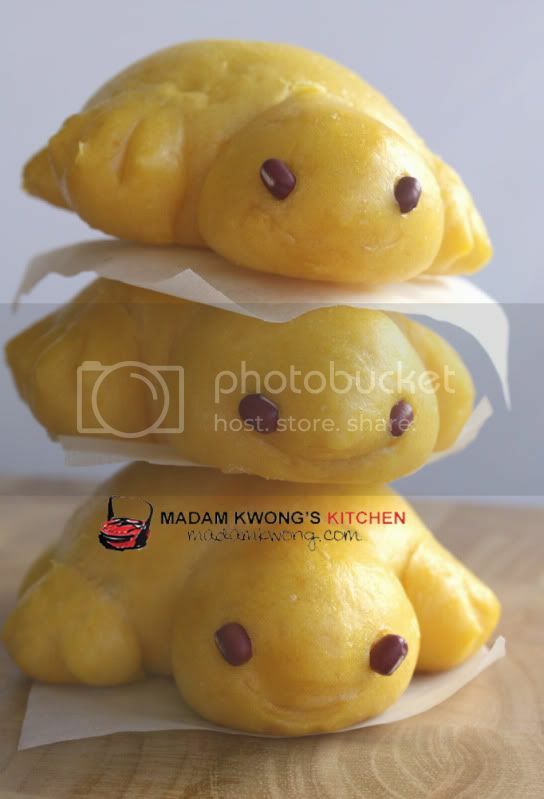 This kueh is great for morning or afternoon tea… or any time of the day. 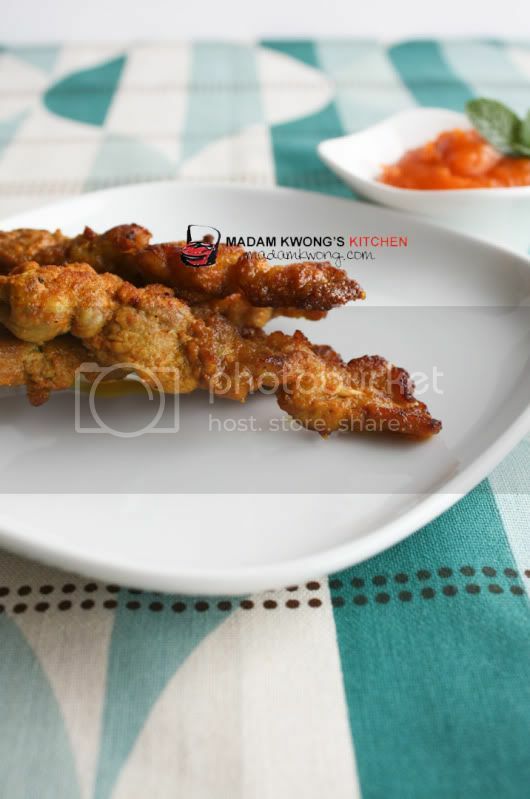 I haven’t made Nyonya Satay for a long time and I know that it has been a vanishing skill to make it. 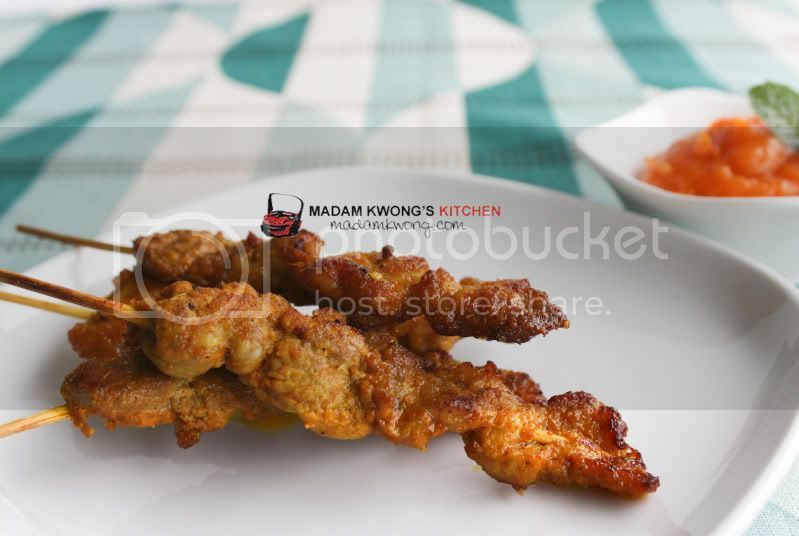 I haven’t seen Nyonya Satay around for long time too, it is probably rare to see it in Malaysia or Singapore. Have you eaten any? If yes, do tell us where you’ve seen it. So, I dug out the recipe and gladly share it with you. I use pork in this recipe but you are welcomed to use chicken or beef. This uniqueness in this recipe is the dipping sauce. The thickness from the sauce is from sweet potato puree. Yes, we know that this recipe has a funny name, right? Well that’s what it’s called when you deep fry the balls and they opened “laughing”. A very simple recipe to make and hope you’ll try it. Check out the recipe is after the jump. 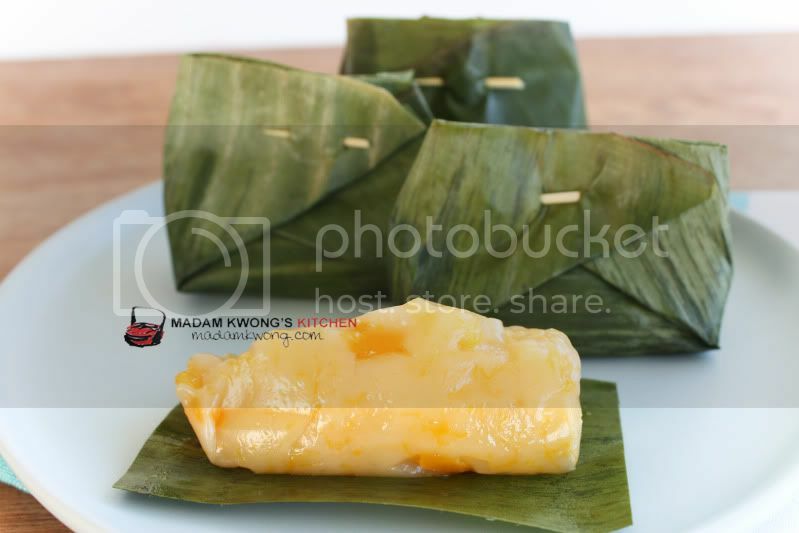 Pulut Inti is another popular Nyonya Kuih and I guarantee you, it is the easiest to make. “Pulut” means glutinous rice and “Inti” is the filling. 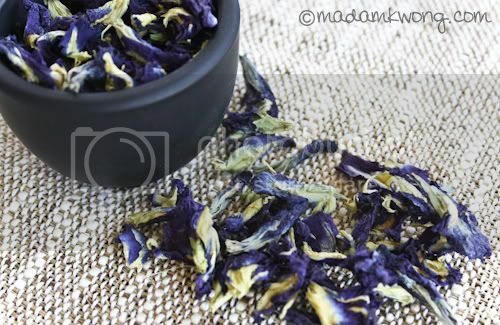 I’ve always known Bunga Telang as the two Malay words or Blue Pea/Clitoria ternatea for some. 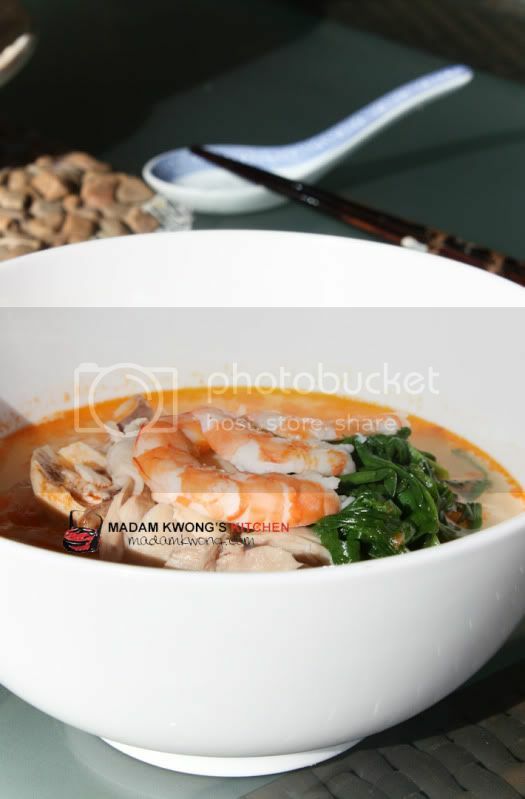 It is widely available in Malaysia, Singapore or in the Asian countries. Well, in Australia, I get them specially flown in from Brisbane. 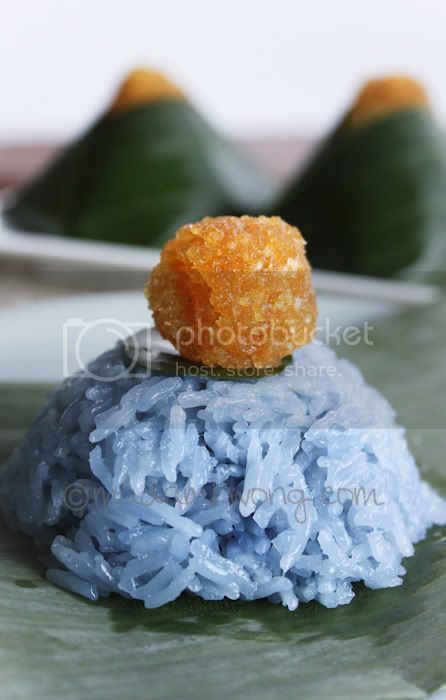 The blue extract gives out this beautiful natural color for the glutinous rice. Here’s how to make. Try it and let me know how you went..